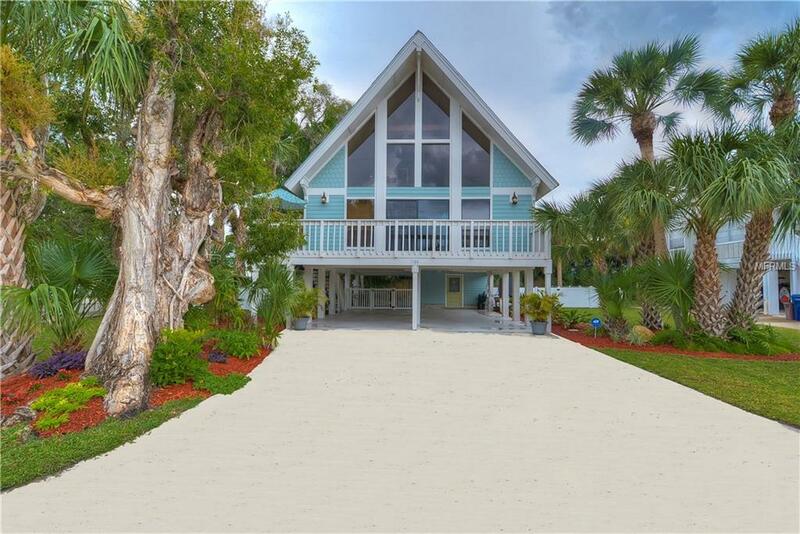 CAPTIVATING HOME & PERFECT LOCATION-STEPS TO BEAUTIFUL WHITE SAND BEACH W/SOOTHING SOUNDS OF THE GULF OF MEXICO ALONG W/BREATHTAKING, FAMOUS SUNSETS! 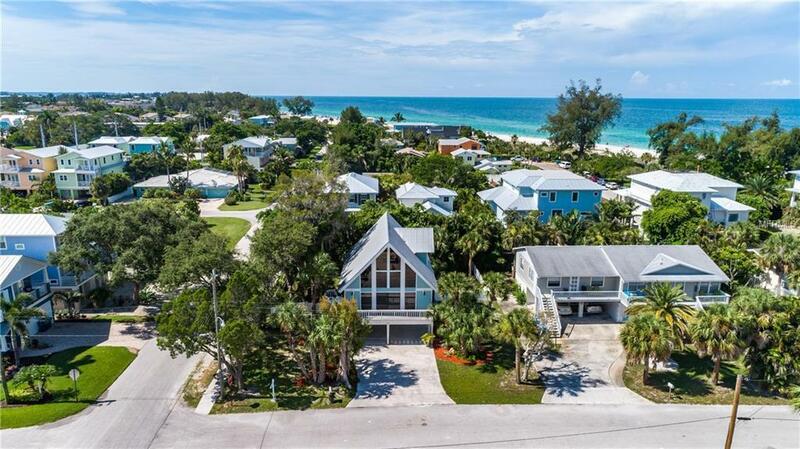 Coastal Living Magazine listed Anna Maria Island as 6th happiest seaside town in USA & this home can be your happy place! $85,000 INTERIOR & EXTERIOR REMODELING IN 2015-2018 SO WORK IS DONE FOR YOU! 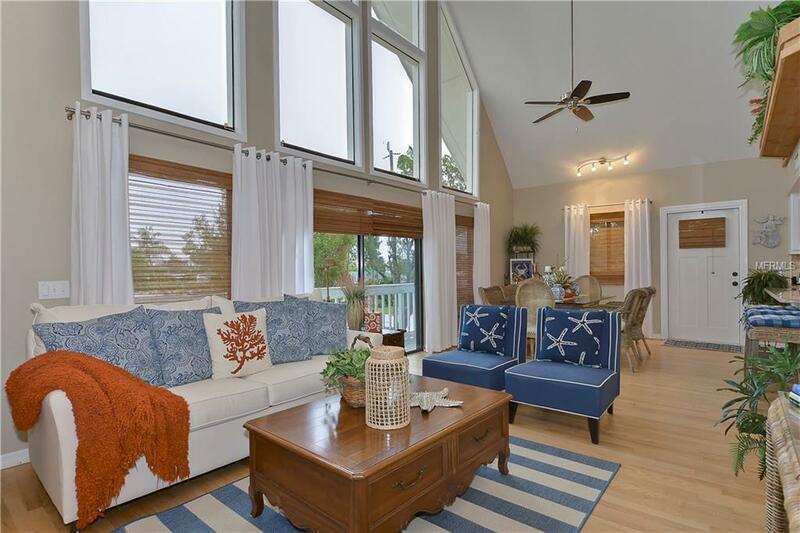 Youll love stunning red oak hardwood floors, beautiful vaulted beamed ceilings, picturesque windows & oversized sliders to extend living & entertaining onto wrap around deck! Beautiful kitchen w/new shaker white cabinets, granite counters, stainless appliances, subway tile & large island w/pendant lighting. Oversized dining room plus great room are perfect places to gather w/open floor plan allowing home to live large! All 3 bedrooms boast sliding doors to decks w/huge master suite private on 2nd floor featuring large walk-in closet plus en-suite w/charming architectural features. Home boasts Nest Thermostat, WINK Lights & ADT Pulse System! Storage room on ground level boasts room for all your beach toys! Free trolley on island so no need for car, but home does boast 4-car covered carport plus long driveway for ample parking! Newly fenced large backyard w/two gates is perfect for children & pets & boasts pretty outdoor shower w/adjoining patio providing tranquil place to sip your coffee before beach stroll. 5th home from the beach, close to stores & restaurants, half block to elem. school & easy access to bridge to mainland. PERFECT LOCATION FOR BEACH LOVERS! Additional Water Information Holmes Beach is Largest Of 3 Island Communities On Anna Maria Island-on Gulf Of Mexico South Of Tampa Bay. 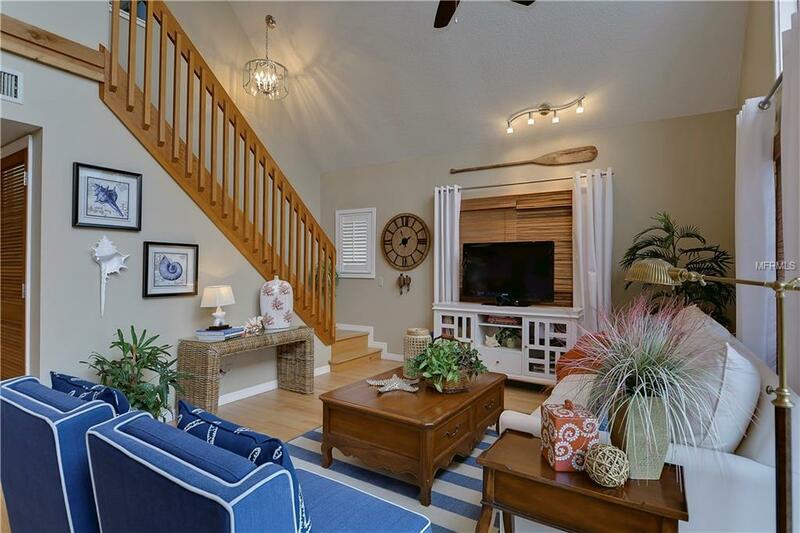 Bordered On North By Anna Maria & South By Bradenton Beach Holmes Beach Boasts 3 Miles Of Beaches & Offers Easy Access To Intracoastal Waterway.